Sports Radio 92.9 The Ticket (WEZQ), a Townsquare Media station, on Friday afternoon announced a new three-year agreement to carry Boston Red Sox baseball. The agreement will commence with the start of the 2018 season and continue through 2020. “When we launched 92.9 The Ticket in 2012 it was our goal to bring all of Boston’s sports teams under one roof. Sports fans now have one spot on the dial to get the Red Sox, Patriots, Bruins and Celtics,” Townsquare Media Market President Tom Preble said. 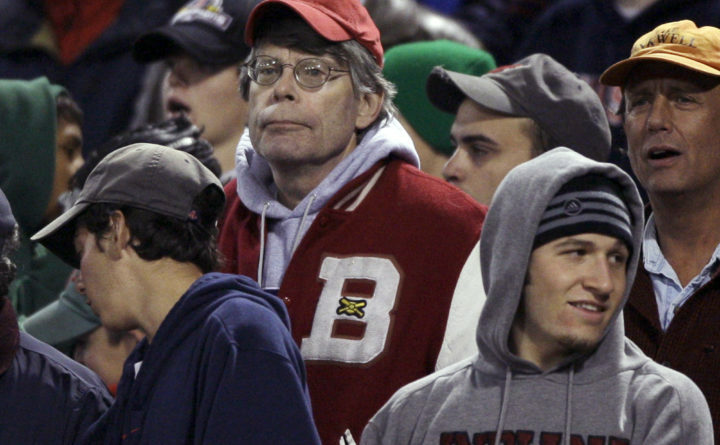 The decision means WZON The Pulse (620 AM), the radio station owned by Bangor author Stephen King that has carried the Red Sox since 1994, will no longer air the game broadcasts. King admitted that he was shocked to hear the news about the deal. Upon learning of the development, King said he contacted WZON sales manager Ken Wood. “Ken made phone calls and wrote emails to those in charge of apportioning broadcast rights, and all he got was, ‘we’re working on the details.’ Then, boom, we found out the rights were going to 92.9,” King explained. Wood acknowledged that he handled a potential re-upping of the radio rights between WZON and Boston Red Sox flagship station WEEI radio in Boston just as he had at the end of previous contracts. “I had called at the end of the baseball season like I always did when it was renewal time and told them we were interested and asked if they could give me the details so we could get our sponsors lined up,” he said. “I didn’t receive any response, which I normally didn’t get most of the time anyway — they usually waited for quite a while. “I finally got hold of them at the end of December and asked what the situation was and was told they were still working on the details and would be back in touch with me. Dana Panepinto, the general sales manager and director of sports sales at WEEI/Entercom Radio in Boston, did not immediately return a phone message seeking comment. One effect of the station change will be to expand the signal’s range to areas of north central and west central Maine that have been without a strong signal for Red Sox games and left some fans to rely on a Portland FM station in order to listen to games. The new Bangor Red Sox outlet offers a 50,000-watt FM signal. “I think there’s a number of things that go into consideration for where the rights ultimately are assigned,” said Preble, who would not disclose his company’s bid for the Red Sox radio rights. “Money certainly has something to do with it but I think signal also has a role in it and obviously we bring that to the table. Preble acknowledged the possibility of some scheduling conflicts with The Ticket now home to Boston’s top four professional sports teams, particularly in late summer and early fall when both the Red Sox and Patriots are active. WZON several years ago experienced a similar situation in regard to the broadcast rights for University of Maine athletics. In 2007, UMaine awarded its broadcasting rights to Clear Channel radio stations, thus ending a 10-year affiliation with WZON. That move also produced some disappointment from King and many Black Bears fans. King was not pleased about the way the Red Sox rights situation was handled. “As for me, I don’t get mad about these things, but I am unhappy. I think it was shabby treatment,” King said. The broadcasting team of Joe Castiglione and Tim Neverett do the Red Sox radio games. 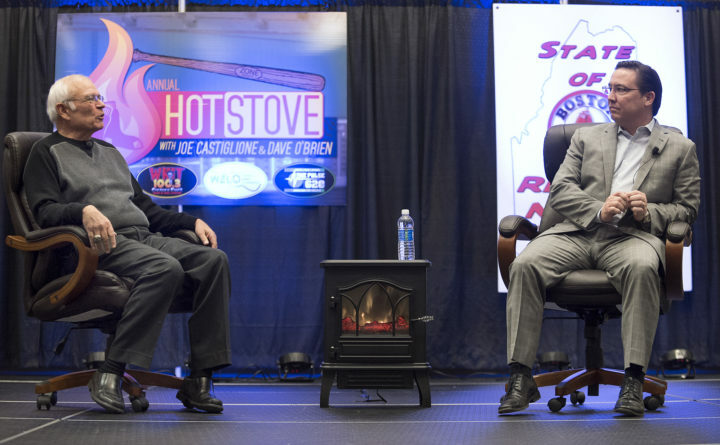 Castiglione is the team’s longtime radio voice as he is entering his 36th season doing games while Neverett started with the Red Sox in 2016.